Many people choose to place security systems and indoor surveillance cameras within their homes and businesses. 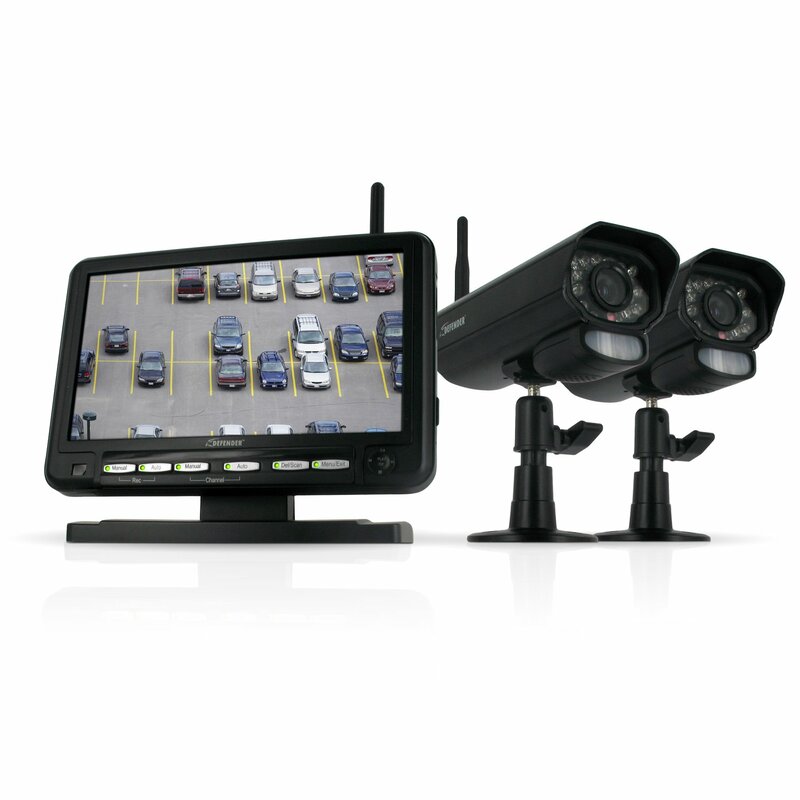 However, a primary line of defense is an outdoor surveillance system. Many of these systems are simple for individuals to install themselves, and some can even be connected to an existing home security system. Whether one is at home or on the go, there is a great surveillance camera for every price range. What Is a Wireless Outdoor Surveillance Camera? Outdoor surveillance cameras are placed at key areas around the home or business to monitor a variety of zones. They may be used to prevent break-ins or simply to see who is in the driveway or at the door. 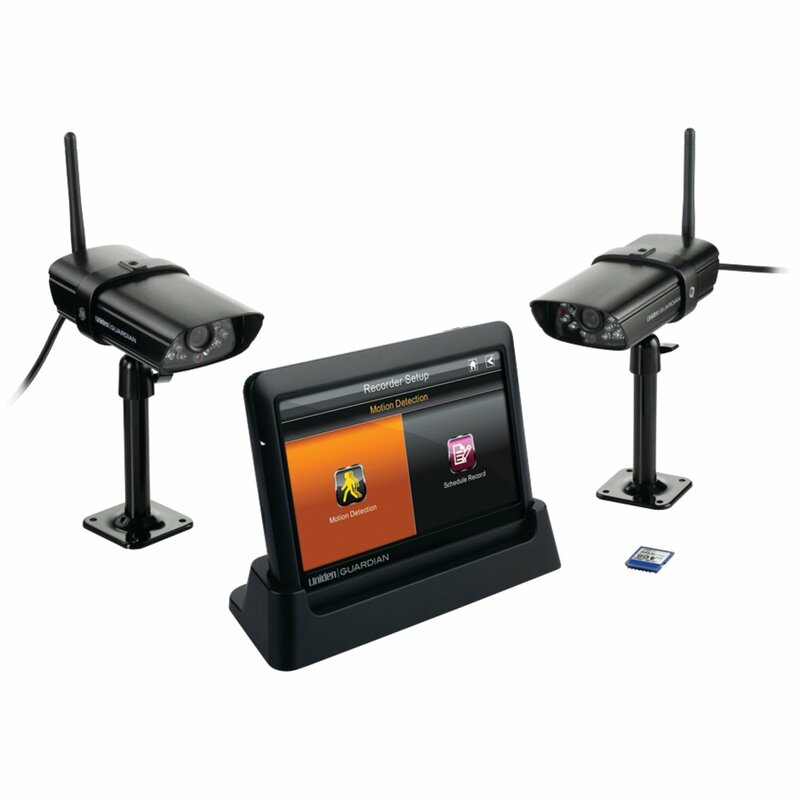 These systems usually come with one or more cameras, and many also include a small monitor that will display video from the cameras. Many systems today can be accessed remotely via a computer, tablet or smartphone. Cameras with DVR or internal memory have the ability to record video in case the home or business owner needs to view it later. A wireless outdoor camera is designed to be more durable than an indoor camera is. These cameras can usually withstand rain, wind, ice, heat and snow; many also have night vision. In addition, wireless cameras are powered by batteries and can be placed anywhere one wishes because they are not restricted by wires. Of course, wireless outdoor surveillance cameras mainly provide peace of mind and prevent crime. They can be used for simple tasks, such as seeing who is at the back door and locating a child who is playing in the yard. In addition, they are used for security to protect doors and windows from unlawful entry or vandalism. When searching for the ideal system, shoppers should first consider how many cameras they will want. Most will want at least one camera per outside door; some will want enough cameras to cover each window and every zone on the property. Shoppers should also determine if they will need a wide lens camera or a camera that will pan and tilt, which is recommended for wide, open areas. Finally, most individuals will want cameras with night vision that can be accessed remotely and that have a way to record video. The Uniden Guardian is very easy for homeowners to install. The system includes two wireless cameras to be mounted outside as well as a touchscreen monitor, which displays surveillance from the cameras. The Uniden can record videos from both cameras at the same time onto an SD card in order for homeowners and businesses to view the surveillance later. Other features of this popular model include night vision up to 40 feet away and remote access via smartphones, tablets and personal computers. The Logitech Circle is slightly less expensive than other surveillance camera systems, yet offers many similar features to the Uniden Guardian. The Logitech system also offers night vision up to 15 feet as well as a wide-angle camera lens that allows users to view up to 135 degrees. The internal DVR can record up to a week of surveillance but only records motion-activated events in order to save space on the hard drive. Although the system must be initially set up with a Windows-based PC, monitoring can be done with either a Windows or an Apple operating system. 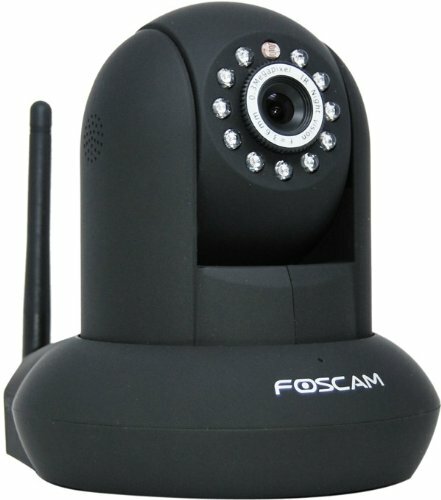 The Foscam Camera offers superior protection at a minimal price. This camera helps individuals keep an eye on their homes or businesses even while they are away. Video can be streamed to a computer, laptop or smartphone, and individuals can opt to have email alerts sent to them if any movement is detected. The two-way microphone helps those who are indoors communicate with those who are near the camera. The Defender is popular among many homeowners because live customer service is guaranteed for life. Two cameras are included in this system along with a 7-inch LCD monitor, which is designed with specialty screensavers that will blend in with the surroundings. This system is perfect for people who are concerned about saving energy. The cameras are equipped with sensors that can tell how light it is outside and will not use the night vision feature until it is needed. The system also includes a 2-way intercom, a 2-gigabyte SD card for recording and a remote control. Reolink is moderately priced, but still has many valuable features that many homeowners would appreciate. The cameras are waterproof and have 4x optical zoom capabilities. Users can access surveillance via their Apple, Android or RIM smartphones as well as with Windows or Apple-based PCs. This system allows users to secure access to the camera with a password. It is easy to use, durable and powerful. The Tenvis offers excellent panning and tilting for it’s economical price . It is very easy to set up because it connects effortlessly to a computer via Wi-Fi. 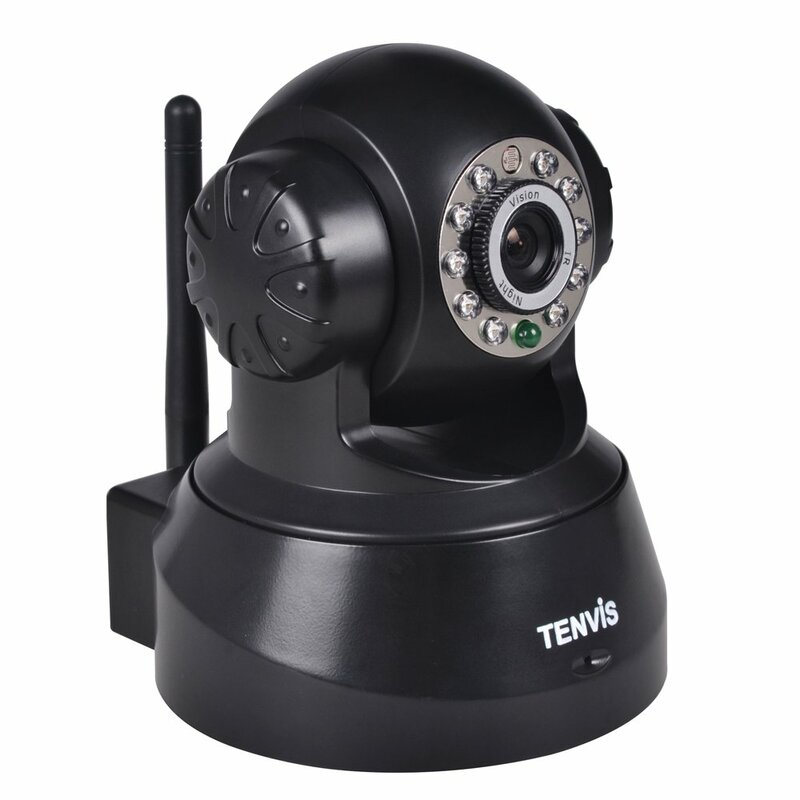 The Tenvis offers a long list of assets, including night vision, a two-way microphone, motion detection alarms and remote viewing. Outdoor surveillance cameras are a primary line of defense for homes and businesses. Wireless options allow users to place cameras almost anywhere. There are a variety of excellent brands available that are user-friendly and that display clear video even at night. These top seven choices offer a wide range of features throughout a variety of price ranges.